IronmongeryDirect, the UK’s biggest online and mail order supplier of ironmongery products to the trade, has launched a new summer catalogue boasting hundreds of new products. Over 500 new items have been added to the collection including an innovative range of GRIPIT fixings. These fixings have a unique wing design which means they can’t get lost in cavity walls. What’s more, they can also support heavy loads up to 180kg. A new range of kitchen lighting has also been added to the catalogue. From strip lights, plinth lights, LED tape to cabinet lighting, all of these items are suitable for domestic, commercial and retail use. 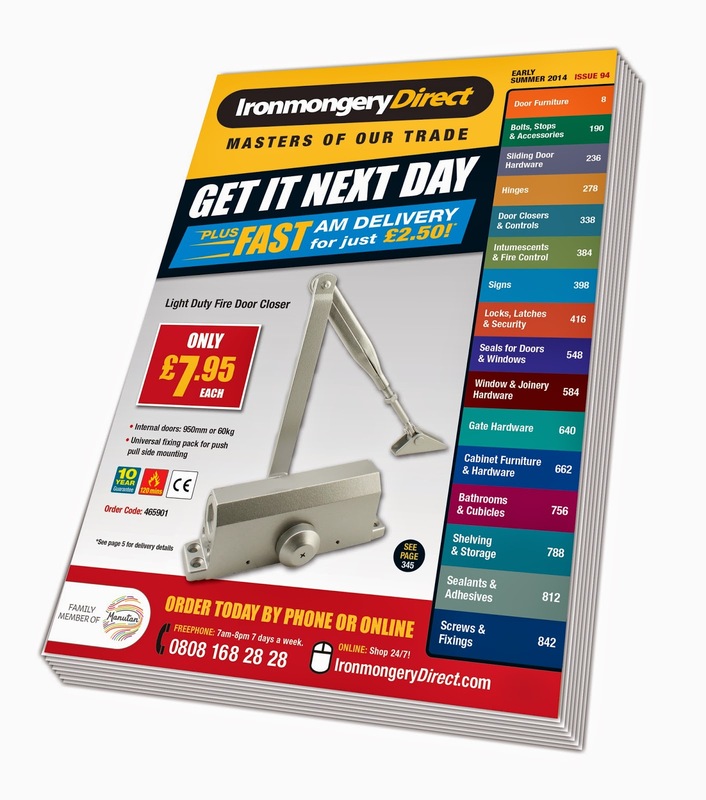 Jam packed with over 14,500 ironmongery items, the brand new 900 page catalogue features at-a-glance information for choosing the best product for any job, as well as details on its competitive locked down prices. It has also been designed to be compact enough so tradesmen can take it with them on the go. IronmongeryDirect provides a reliable and free next day delivery service. Customers can order up to 8pm for fast next working day delivery and even up to 3.30pm on Sunday for Monday delivering, which is free for all orders over £45. The company also offers guaranteed morning delivery from just £2.50. Orders can be placed quickly and easily via the website or by calling the customer contact centre, which is now open from 7am to 8pm, seven days a week. The entire range is covered by a free returns policy meaning any unsuitable items can be returned and refunded hassle-free.